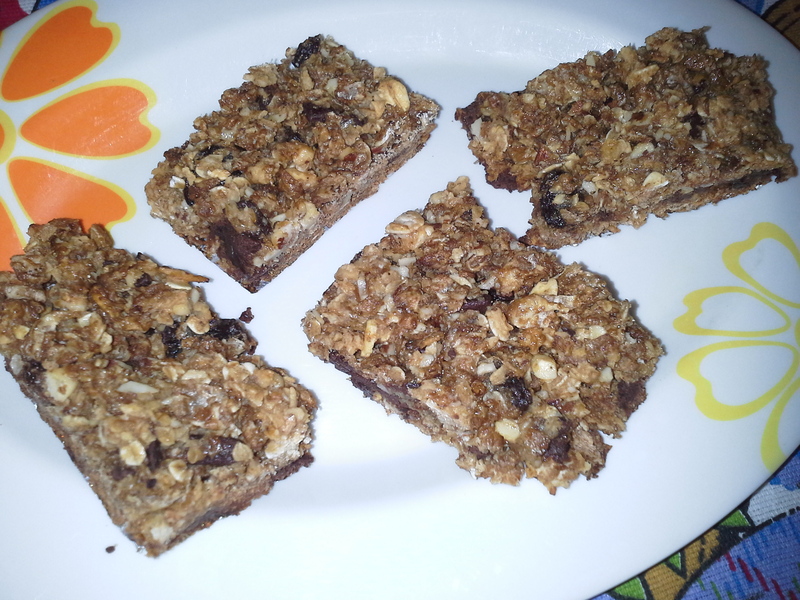 Top on the list of our kid’s recipe this summer are granola bars. 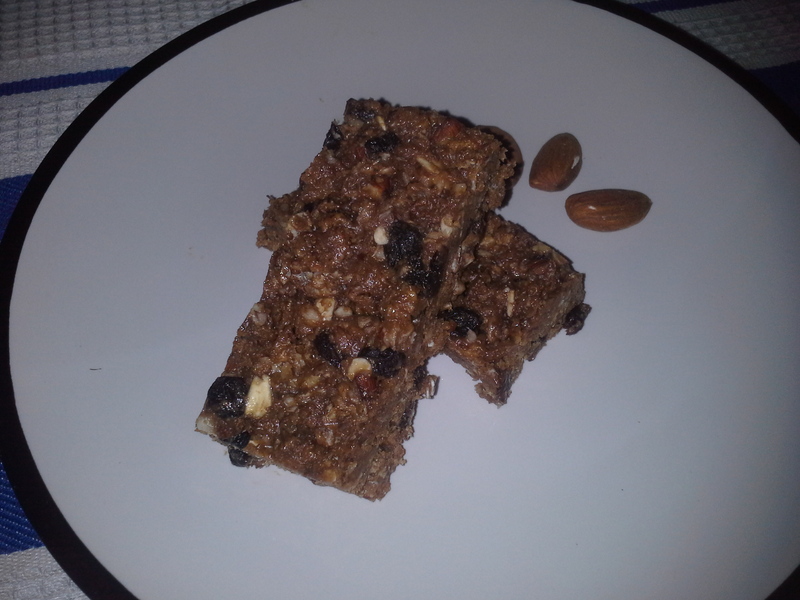 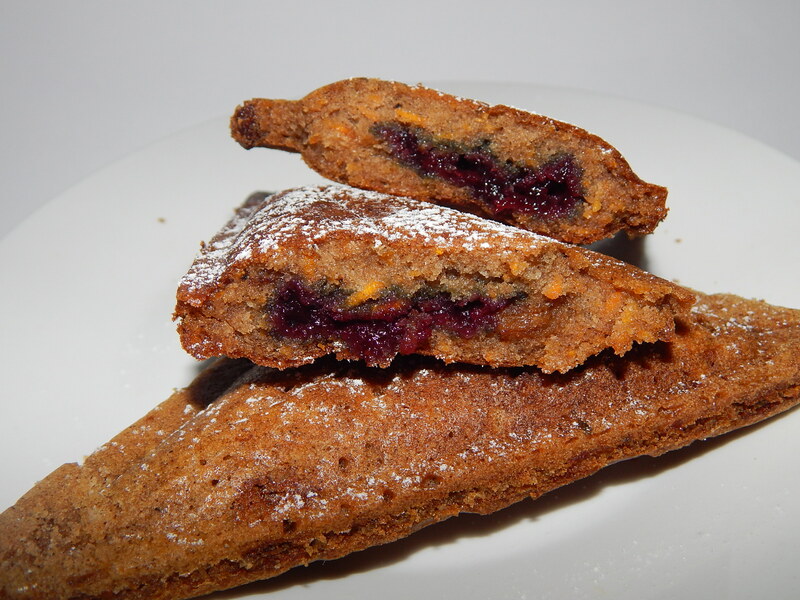 There are so many ways to make these delicious energy bars and I want to share them all with you. 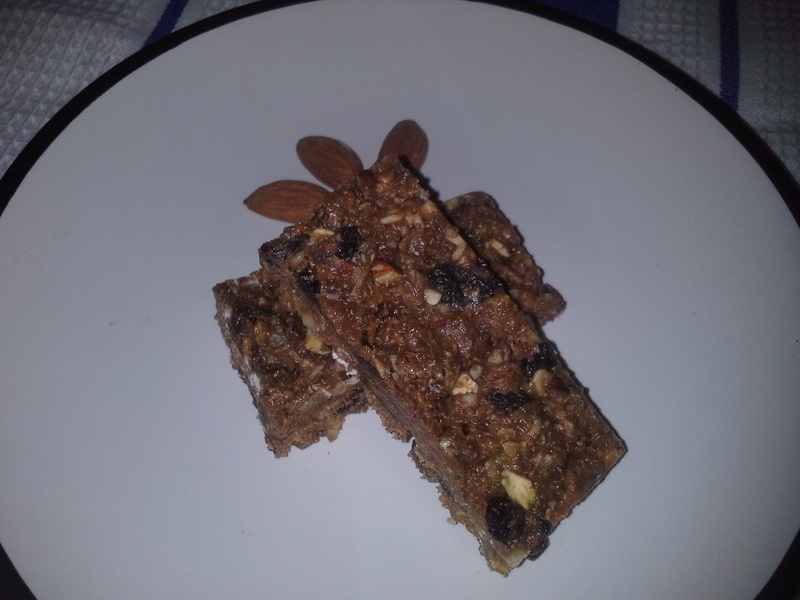 So here’s what I will do, in addition to each weeks recipe, there will be a granola bar recipe in the mix… why? 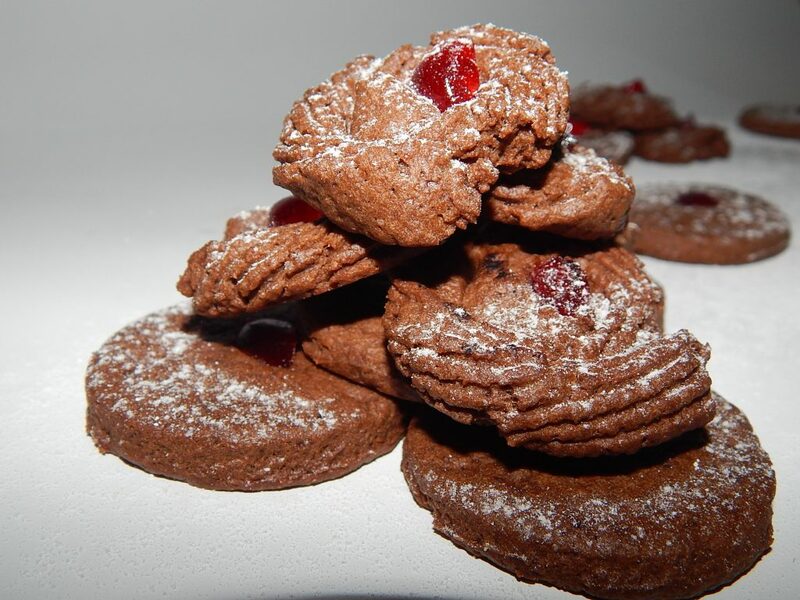 because I appreciate your taking out time to read through my blog every week! 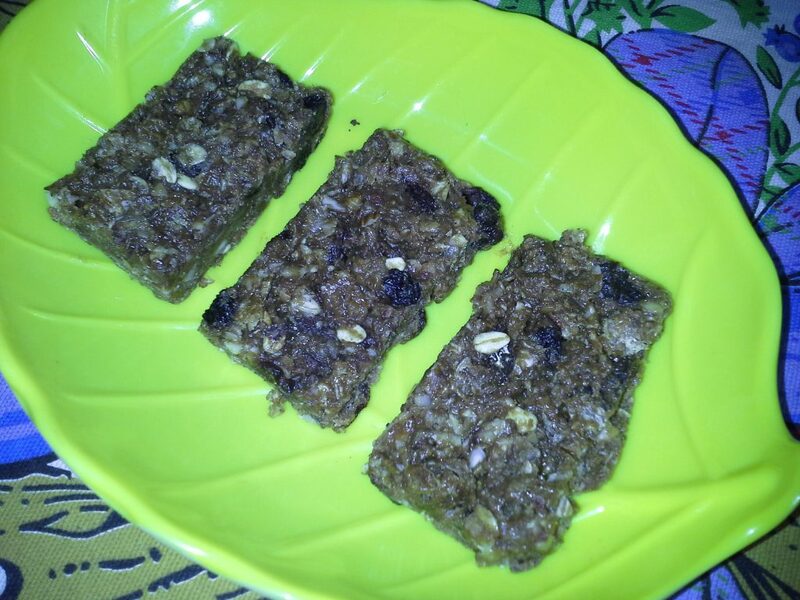 😀 This will also provide your kids with a variety of different energy bars from which to make their favourites. 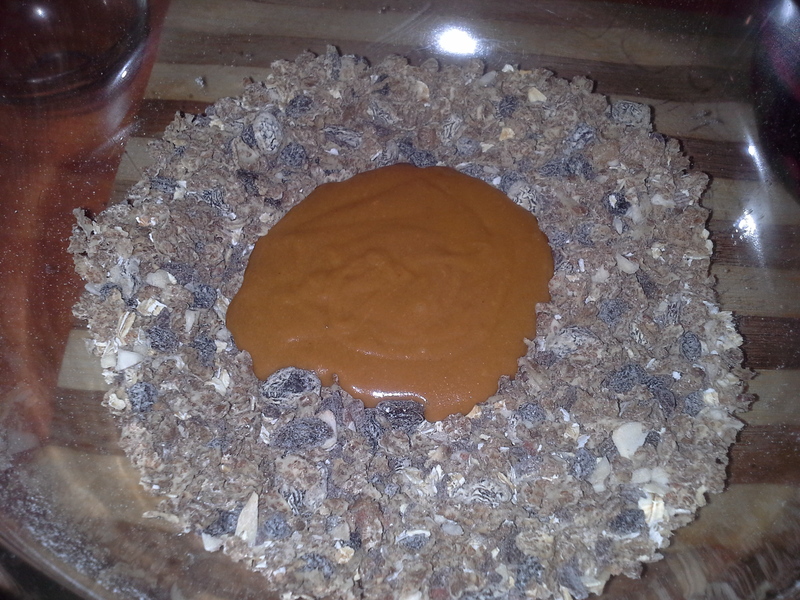 Granola which means a mixture of different cereals and grains can be enjoyed baked or unbaked. 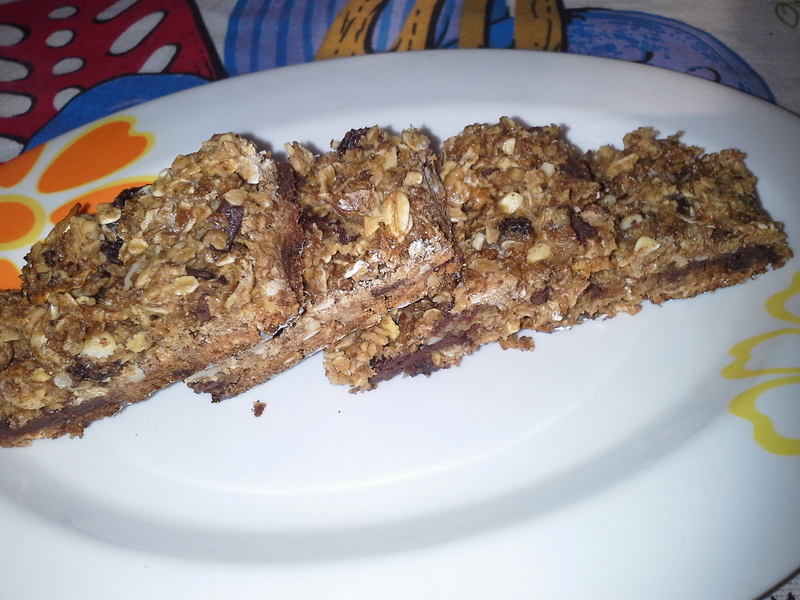 I created today’s granola bars myself and came up with a baked and unbaked version using basically same ingredients. 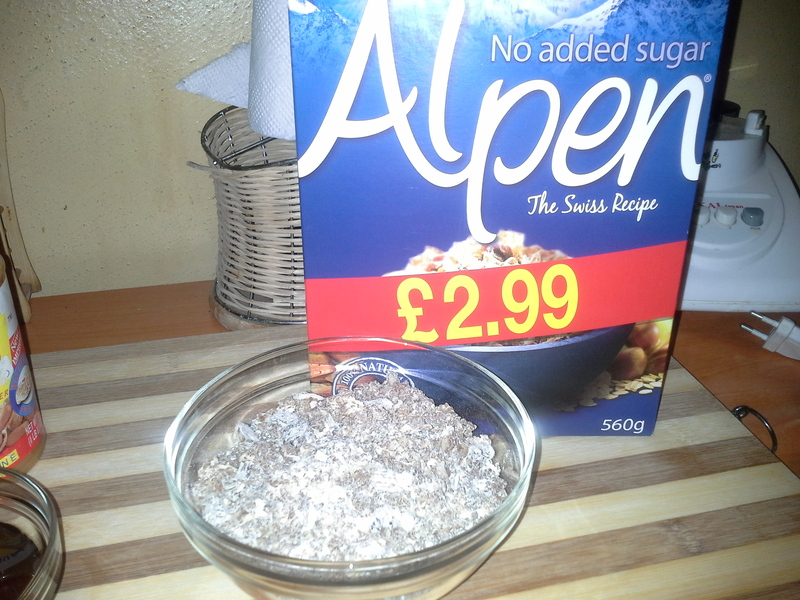 The main ingredient is Alpen Swiss cereal. 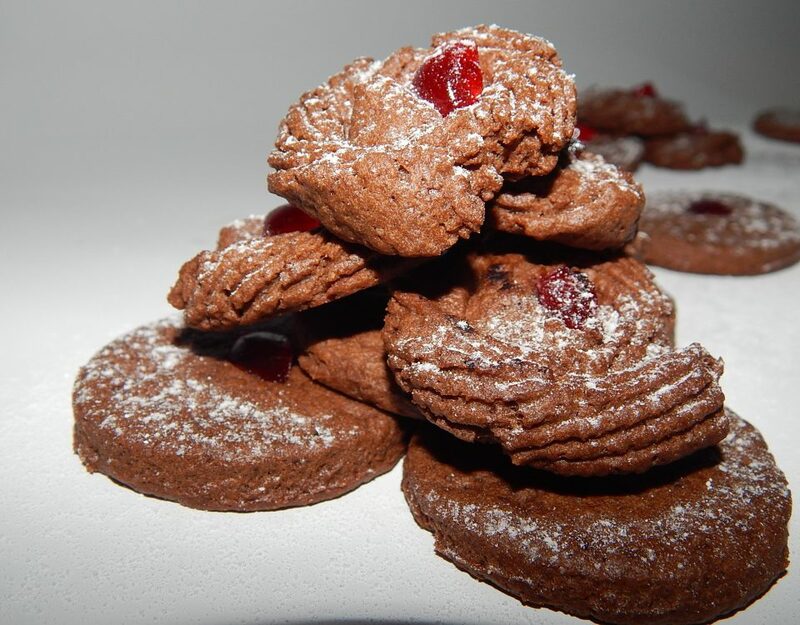 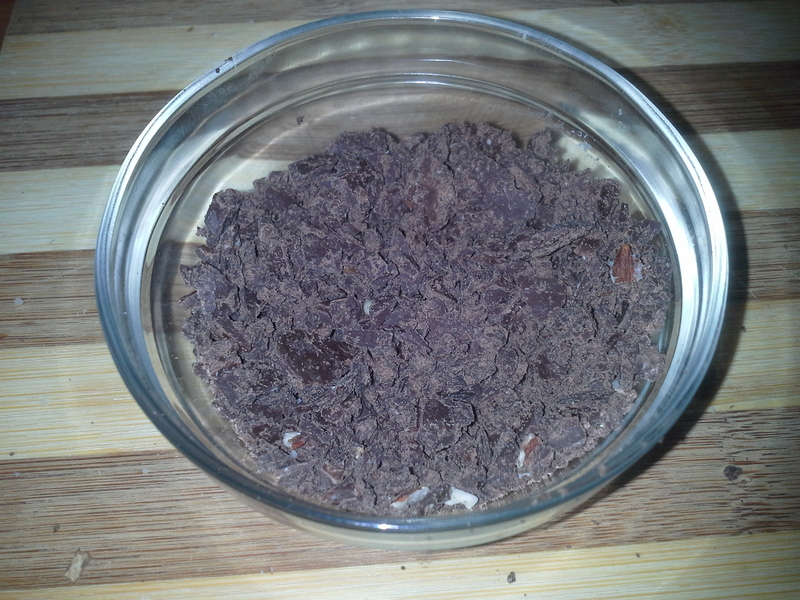 Roughly chop the chocolate using a knife or same dry blender, don’t over blend. 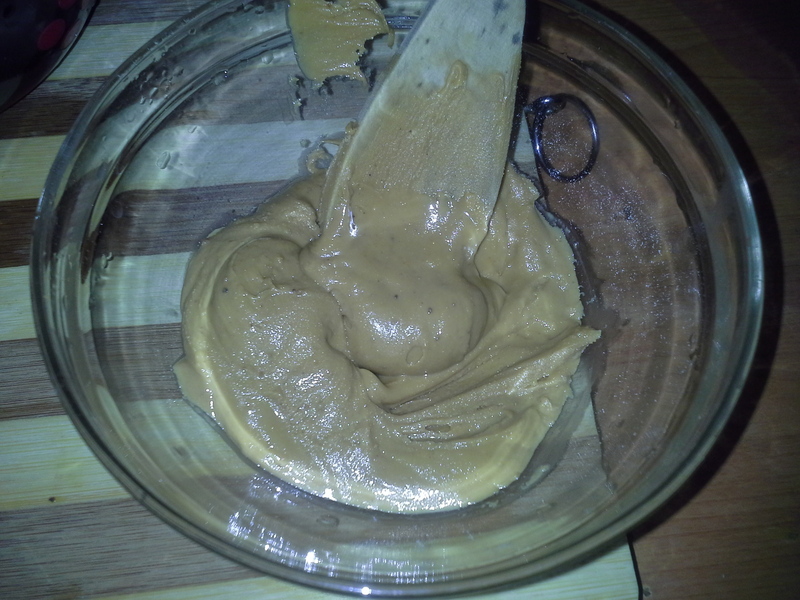 Scoop the peanut butter into a small plastic or heat resistant glass bowl and place it in a boiling pot of water, the water should be just about half the height of the bowl. 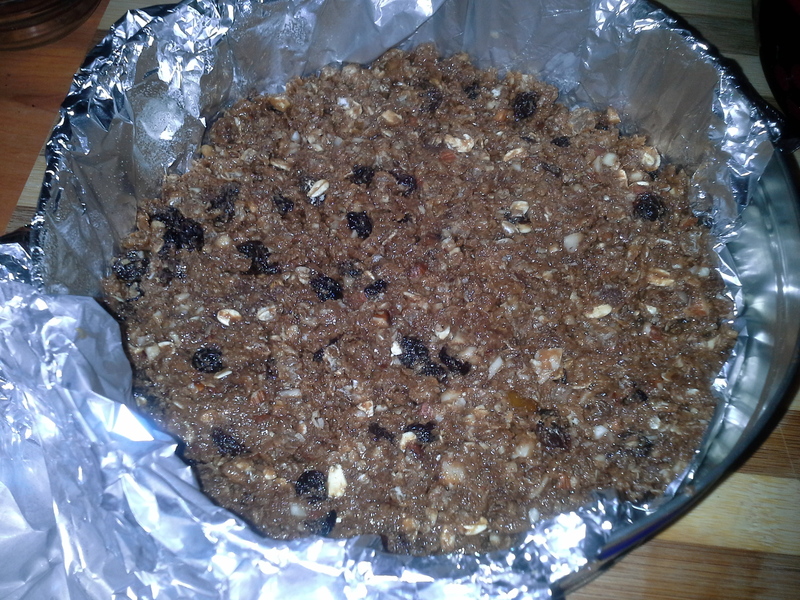 Let it boil for about 10 minutes then turn off the heat. 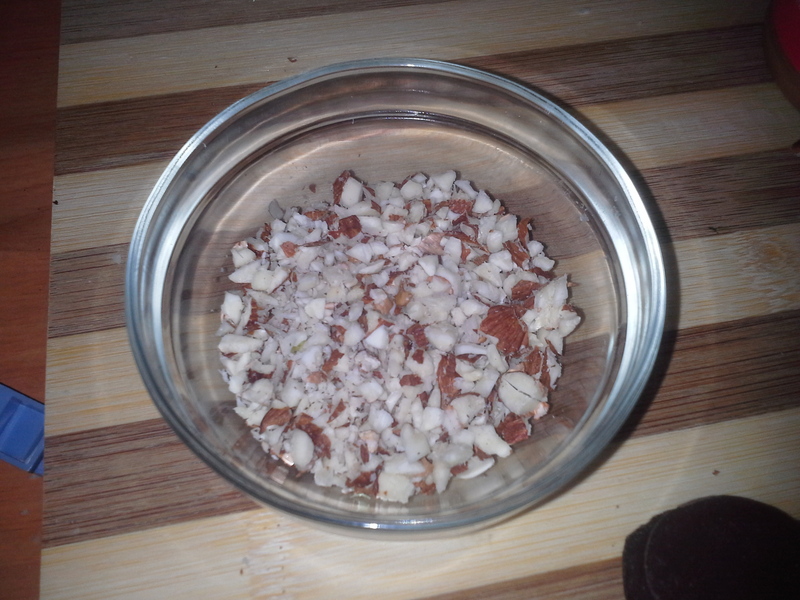 This is just to make it soft enough to mix with the honey. 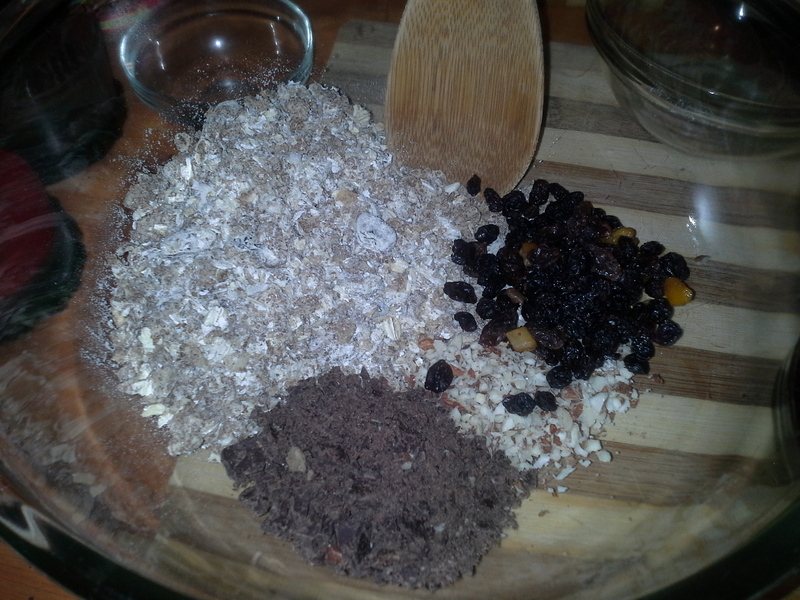 In a wide bowl mix all the dry ingredients together. 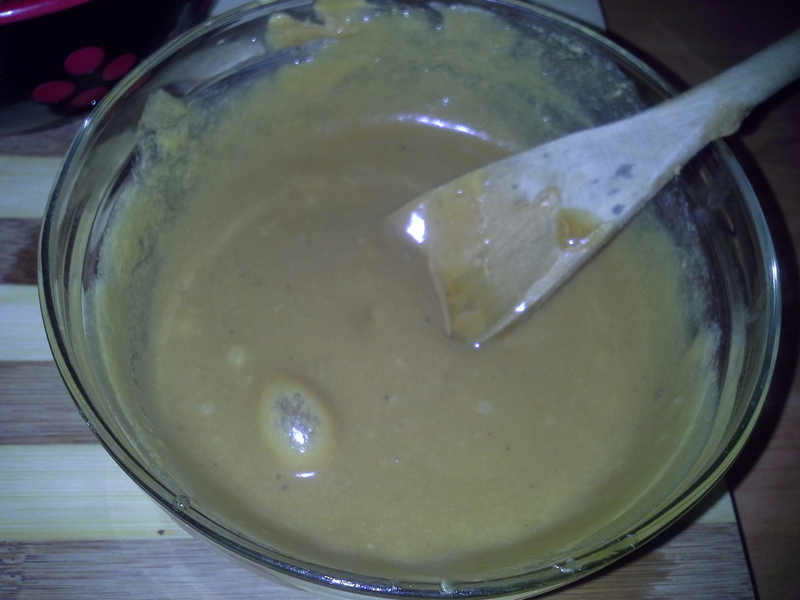 Next goes in the peanut butter mixture. 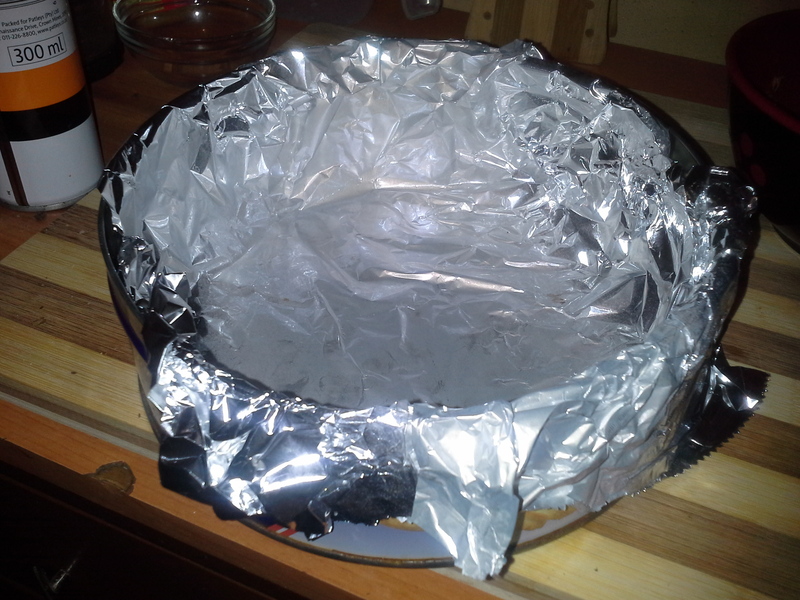 Line a small baking pan or old cookie tin with foil. 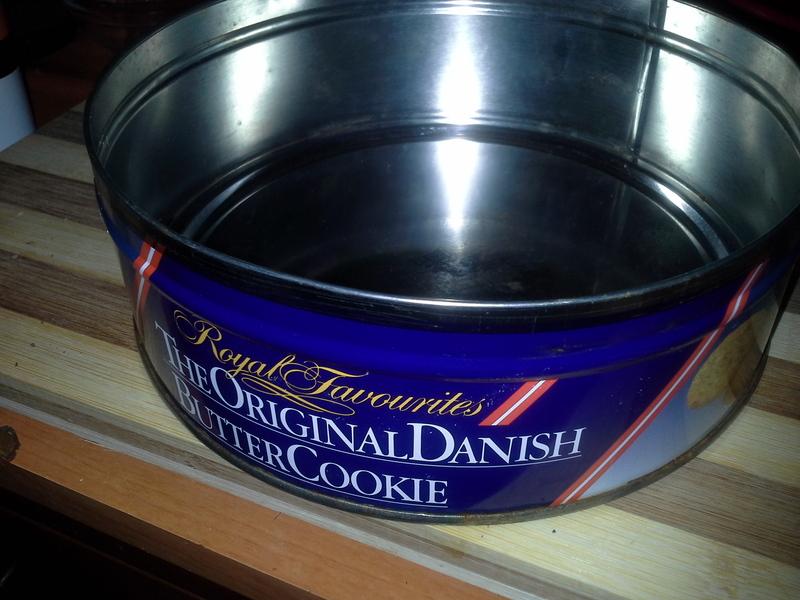 I had an old danish cookie tin so I used that. 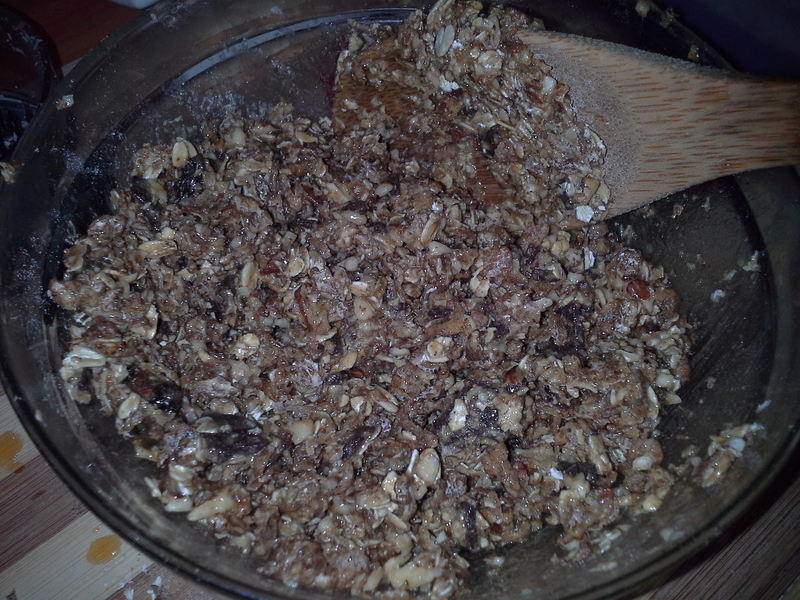 Transfer the granola mixture into the tin and spread out evenly. 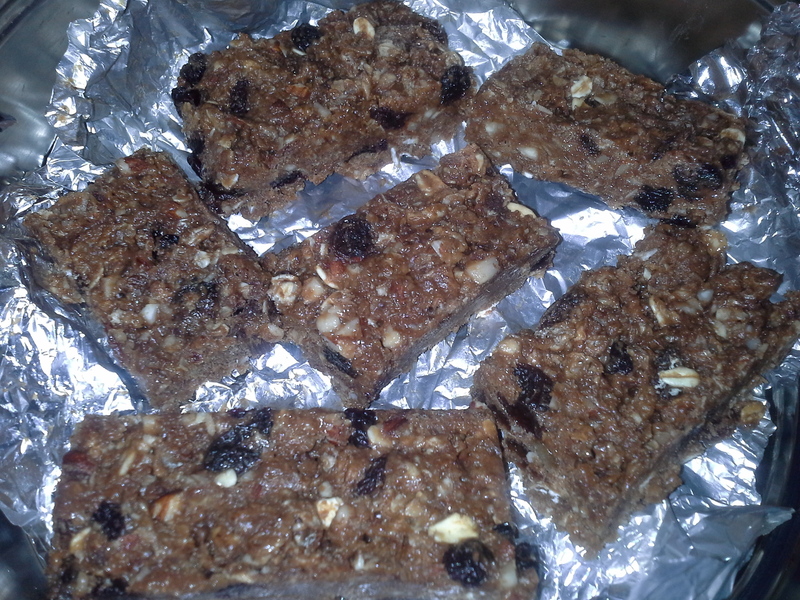 The bars shouldn’t be more than 1 1/2 inches high that’s why I used this tin. 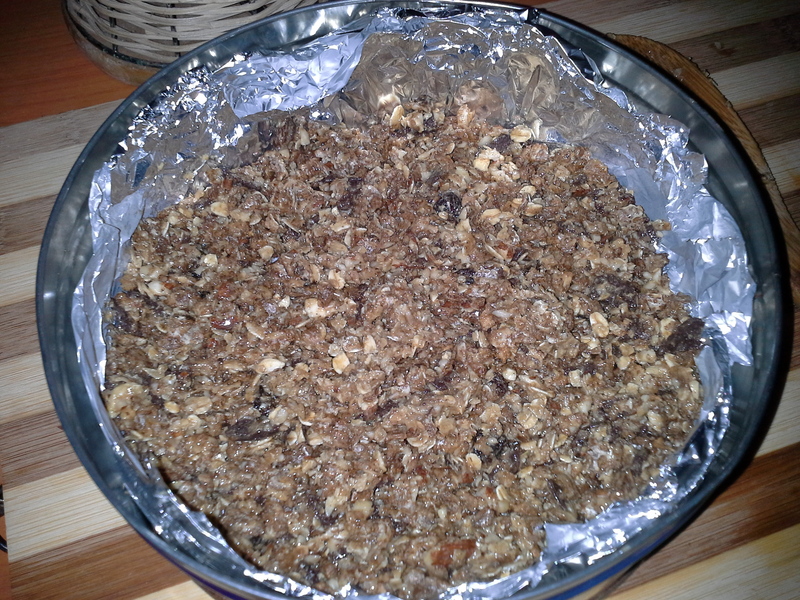 Cover with the lid and put in the freezer to set for at least 4 hours. 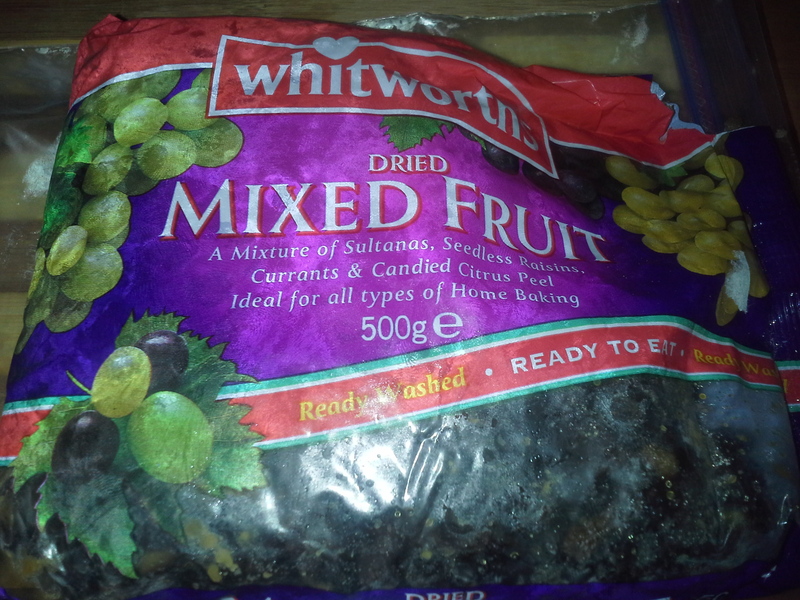 Same ingredients except no peanut butter. 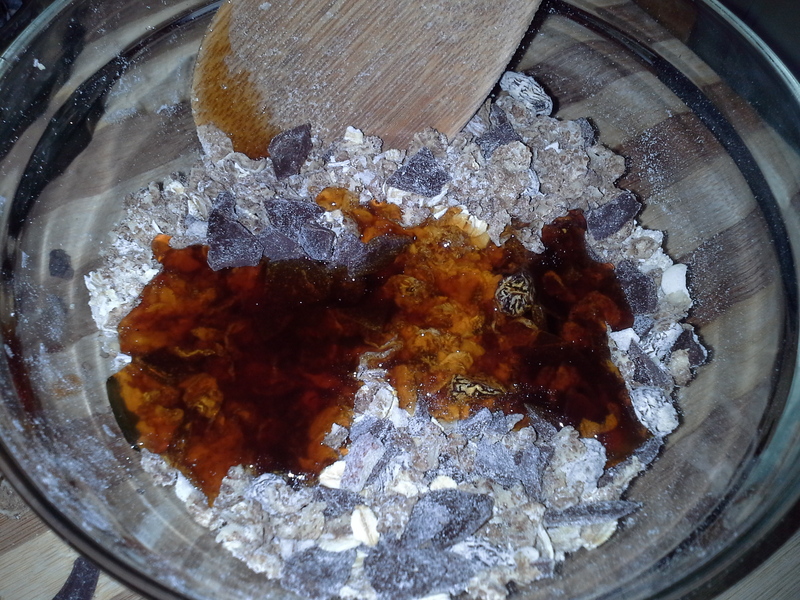 Simply mix all the dry ingredients together, then add the honey. 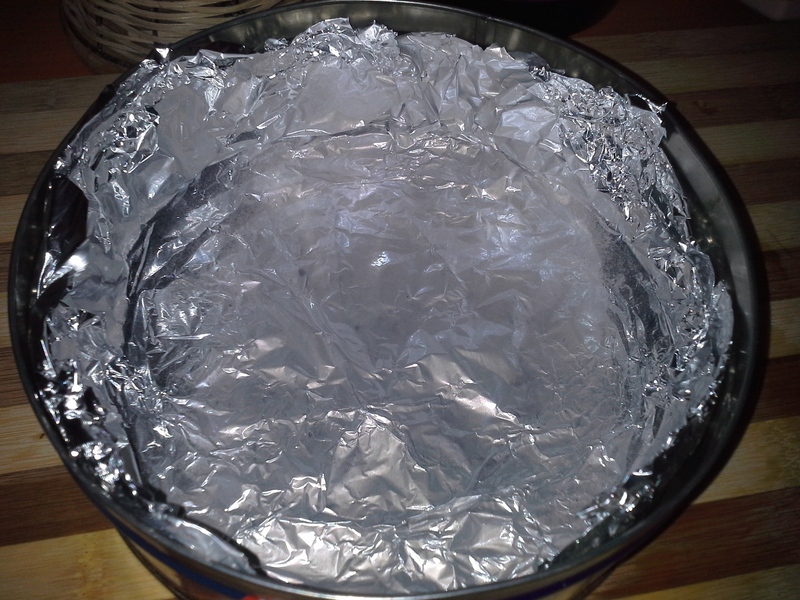 Line the cookie tin with foil and spray with cooking spray. 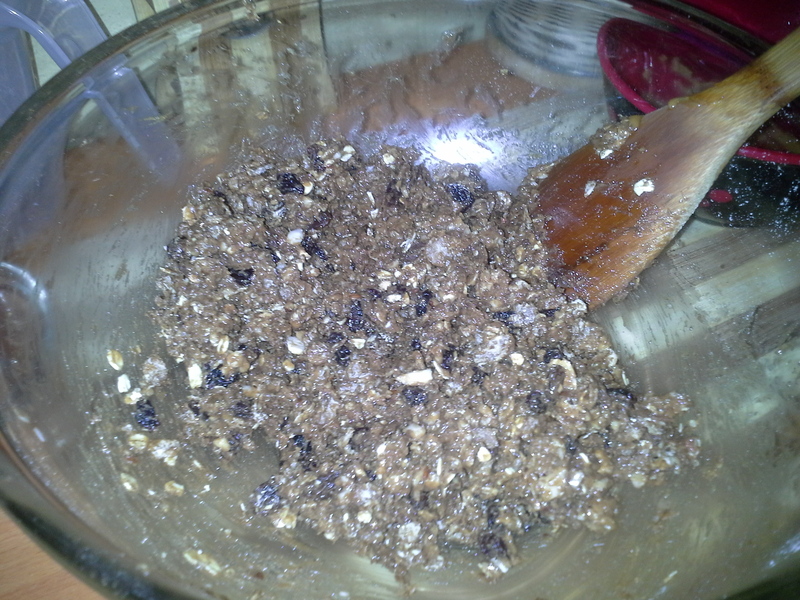 Transfer the granola mix and spread out evenly. 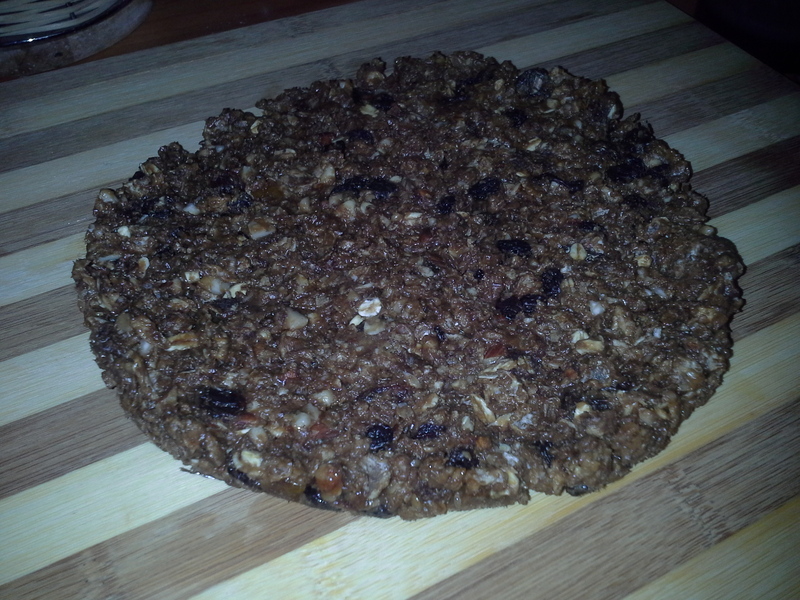 Allow to cool completely then cut into bars. 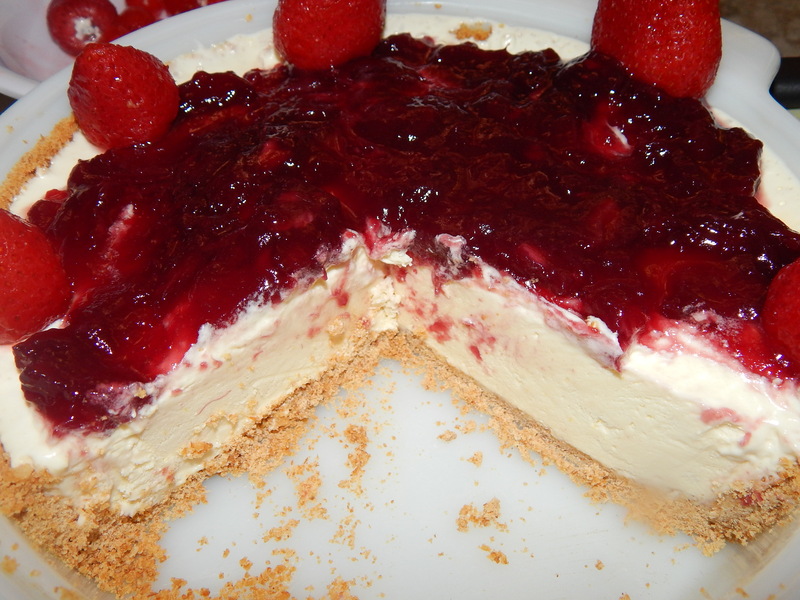 Store in foil and keep in the freezer for at least a week if it lasts that long :-). 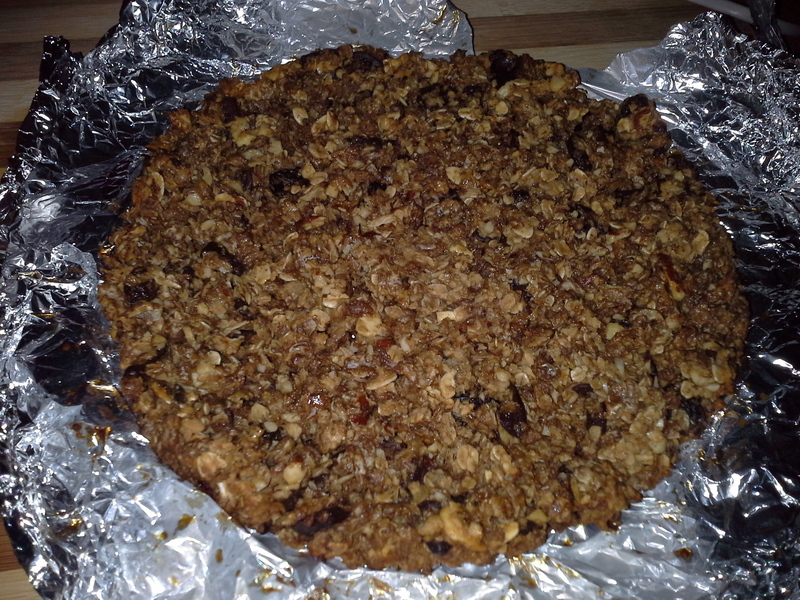 *Tips: In the second version, it had to be baked because the peanut but acted as a glue in holding the first one together, so baking the granola mix is what keeps the second one together.